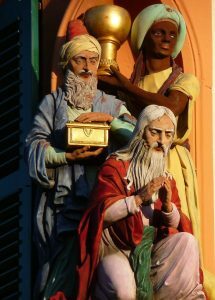 Happy Epiphany/Three Kings/Twelfth Night! In English-speaking (or singing) tradition, this is the day when your True Love’s condo is condemned by the local health authority after repeated complaints from neighbors about the unrelenting noise and noxious animal smells. Even that nice old couple that lives below her must’ve reached the end of their rope when you dropped off the Twelve Drummers in a panel van last night. (I mean, the Eleven Lords from the local dance company really would’ve been the last straw for most normal people.) Don’t even get me started on what comes out the south end of Six Geese, egg-laying or otherwise. I hope you saved receipts on those Five Gold Rings, because after today, I’m guessing the engagement is off. In most of America, we’ve never quite known what to make of the Epiphany. It’s mostly a day that makes us go, “Huh. Maybe we ought to take down that dried-out tree, seeing as how it’s a blatant fire hazard.” Sure, there are exceptions. It’s a thing in most Latino families—El Día de los Reye—as well as other families with various ethnic roots. 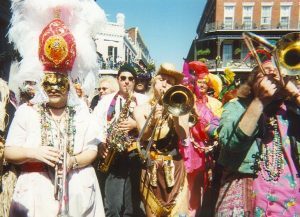 And of course, most important of all to someone like me who squandered several years of his wasted youth down Loozeeanna way in Nyah’luns, the Epiphany is the first day of Mardi Gras Season!!! Laissez les bontemps roulez, cher! Which roughly translated means, I think, “Don’t drink and drive, knucklehead.” But my French is a little rusty. Let me state something that should be blindingly obvious to everyone. Our entire nation would benefit greatly from adopting the institution of Mardi Gras Season. It makes that whole post-holiday let-down, seasonal affect disorder, nasty grey winter weather thing soooo much more bearable. Mostly by giving you an excuse to hit the sauce so you’re half in the bag for at least six weeks. But that’s just a minor detail. And having grown up in its environs and Survived Many Winters, let me assure you that Chicago really, really needs a Mardi Gras season. This year, due to the lateness of Easter, Mardi Gras season will last a near-miraculous FIFTY-SEVEN days. 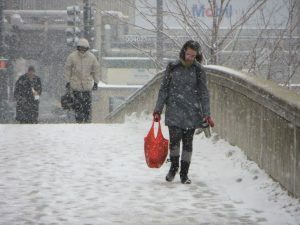 Please take note, Chicagoans. Seriously, for your mental health. So much more fun than overeating and pining for opening day at Wrigley. My second close encounter with the Feast of the Epiphany—also the one I actually remember because I’d given up drinking alcohol by then—was when we moved to Italy in 1994. The Italians really know how to do Epiphany, which in Italian is known by the phonetically courteous cognate l’Epifania. And the salient feature of the (still phonetically courteous) la festa dell’Epifania is the eminent personage known as Befana. 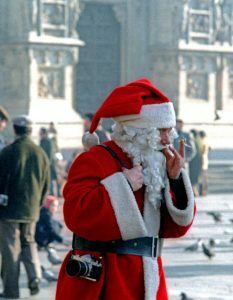 Now, Santa Claus, since the Second World War, has made inroads into the culture of Italy and the avaricious little ids of Italian children. He’s known by the (phonetically more dubious) moniker Babbo Natale. This is literally translated “Dad Christmas,” so he’s more of a British kindly old Father Christmas than an American hyper-commercialized Santa. As I said, however, Babbo Natale is, by Italian-Roman-Etruscan time standards, an interloping holiday parvenu. It’s Befana whose name is above the title for Christmas season in Italy, let me assure you. In short, Befana is a witch. Yep, you heard me. (Because that app is two-way. Joking. Or am I?) The most beloved Christmastime mythical person for Italian children… is a witch. Yikes, right? 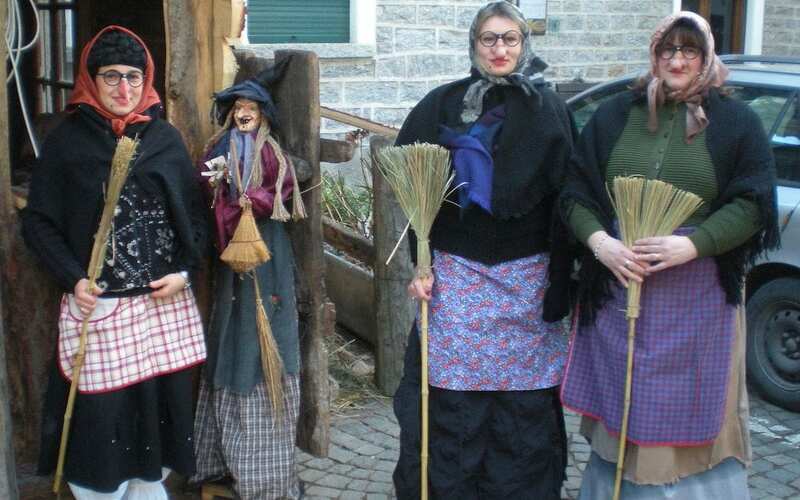 I should explain that Befana is technically a (phonetically indifferent) strega. This word is usually and lazily translated as “witch,” but it’s really a kind of folk healer-fortune teller-herbalist-midwife kind of thing. And the Italians don’t have much tradition of nasty evil witches like the Germans. So, if we must, a strega is a good witch. How, you may well ask, did a witch of any flavor become associated with Christmastide, as Befana has been since the 13th century? The story goes something like this. The Three Wise Men, as we know, went searching for the Christ Child by following a star—which in pre-Google-Maps days must have been quite a land navigation challenge for them. They stopped to ask Befana, a woman known throughout her village as a most fastidious housekeeper, if she knew where they could find the Baby Jesus. She didn’t, but since her house was like Expedia 5-star clean, they spent the night. Next morning, the Wise Guys invited Befana to accompany them in their quest to find the Savior, but she demurred on account of all the additional housework necessitated by hosting three high-maintenance Magi who had travelled afar. This factoid is why Befana is always depicted carrying a broom, upon which she is able to fly. Think a low-budget substitute for Santa’s sleigh and reindeer. Befana soon regrets her decision and sets off on her own to find the Child, but alas fails. She therefore wanders the Earth on the eve of each Epiphany leaving presents and sweets for all the good boys and girls who have left their shoes out in anticipation of having them filled with Befana swag. As in the Santa Claus tradition, bad boys and girls get their shoes filled with carbone (coal), garlic, and/or onions. But with the Italians being Very Soft-Hearted About Children, stores in Italy actually sell black rock carbone candy so that even erstwhile bad children still get their sweets. Cool story, right? Every village and neighborhood in Italy has an older lady who dresses up as Befana with her broom and makes an appearance in the piazza on l’Epifania. There are also regional variations. 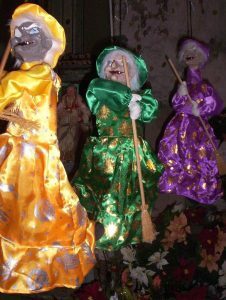 We lived in the foothills of the Italian Alps where the Befana tradition also includes a bonfire. Everyone gathers around the fire in the piazza, around which Befana greets and sweeps—she really is OCD about cleaning—to watch which way the smoke will blow. If it blows toward the mountains, it signifies health and wealth for the New Year. Away from the mountains… not so much. Not that I ever discerned any noticeable difference from year to year in our village of Dardago, regardless of smoke and/or windage. The assorted Orthodox and Coptic churches mark the Epiphany two weeks later—that whole Julian calendar thing—as a celebration of the baptism of Jesus. A Greek-American friend of mine in law school once told me this often involves tossing a crucifix into a body of water, after which the men dive to retrieve it. Did I mention she was from New York City? That would be Very Cold Indeed— something of a Greek variation on the Polar Bear Club. But I guess, as with Santa or Befana, you just gotta believe. And ouzo, lots of ouzo. Any Epiphany traditions in your family? Please share below, if not too self-incriminating. Or if the statute of limitations has run out. Either way. I didn’t know about Befana, thanks for sharing! My grandmother taught us the pomegranate tradition. In Epiphany, we should separate nine pomegranate seeds, eat three, wrap three in a piece of paper, and throw three over our shoulders. When I was a kid, I carried the piece of paper with the three pomegranate seeds in my wallet. It was supposed to bring money. Amazing how many and varied the Christmas and New Year traditions are from country to country. We also celebrated Russian Christmas on January 6th. That is because of the Orthodox calendar. I guess my parents did the same by holding back a Christmas present for Russian Christmas. But they wanted us to fit in where we lived so we celebrated American Christmas. My own personal encounter with the Orthodox calendar and holidays came in Bosnia. Since the country had Muslim, Roman Catholic, and Eastern Orthodox populations, around Christmas and New Years you got six holidays–two each Christmas, New Year’s and Epiphany, different days because of the differing calendars. 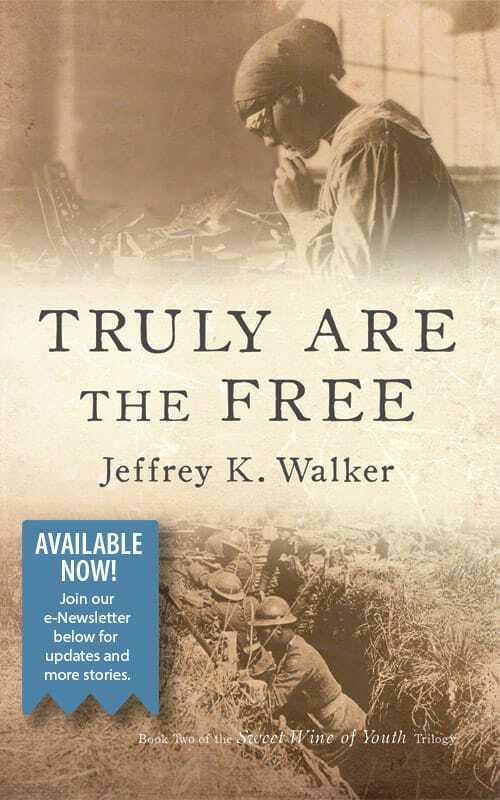 Since the traditional way of celebrating anything in that part of the world was “celebratory fire”–shooting off whatever guns you had at hand–it was rather tense for those of us who weren’t sure whether or not the shooting was intended to be at us. But I survived unscathed to write about it.